So if you’ve found this conversation enlightening then you ought not to miss it so follow us @SourcingAdda and be a part of these discussions as we can assure you that you’ll most definitely add to your learning. More importantly you’ll be up to date with the current trends that are followed in the Talent Acquisition Industry that we’re all passionate about. What’s App Group Chat – Which is better Internal or Outsourced Recruitment? We as Talent Acquisitionist’s we’re always looking to fill positions fast and therefore we’re constantly on a hunt for better, faster, easier and efficient methods to fill vacancies. While most companies that we’ve been a part of usually rely on Internal methods while some others prefer Outsourced methods of Recruiting. But have you ever stopped to think and find out which of these two methods are most effective? Which will deliver more results Internal or Outsourced Recruitment? As suggested by Ankush from the Pune What’s App Group and here’s what we discovered… Well from the discussion above we can conclude that both methods are good if you have the right team with the support that focusses on driving things further. This brings yet another discussion to an end with lots of insights to take back with you. If you’d like to be a part of this discussion then follow us @SourcingAdda and receive timely updates to our upcoming events. In the meantime what are your inputs about the topic? Do leave your comments and we’ll surely like to hear your inputs as well. Whats App Group Chat – What are the Recruitment tools used by Different Companies? 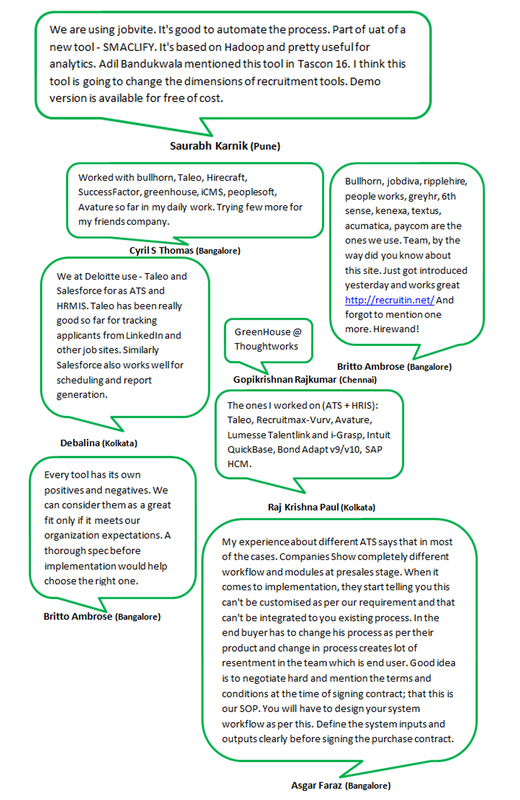 There has been a lot of talk about Sourcing Tools & Techniques used by fellow Talent Acquisitionists at time we’ve even helped each other on countless occasions. We’re all looking for those hard to get needle in a haystack Talent and fill positions fast. We use the commonly used tools to speed up the process but have you ever thought of the Tools that Companies use? Well this was quite a discussion going on here and we’ve too have learnt a lot here @SourcingAdda. This was an amazing discussion as we learnt so much from our fellow Talent Acquisitionist’s. And if you’re not part of these discussions then you have no idea what you’re missing out on. So join us in these Wednesday discussions and add to your learning as well. Whats App Group Chat – How to find the right agency for your niche requirements? The hunt for catching that needle in haystack candidate is not easy and even more so when you have a niche requirement. With your relentless efforts at times you may still not get the candidates with the right calibre. Thus, some organisations tend to rely on agencies to help them find talent that they desire. Based on the Discussion above we can say that we all have gained some knowledge as to how one goes about choosing the right agency to deliver the desired candidates. Now doesn’t this make it clear as to what you should look for when picking an agency for your niche requirements? Well if you’ve been following us @SourcingAdda and are a part of these popular Wednesday discussions then you have gained information that will most definitely benefit you and your organisation if implemented. So if you’re not part of these amazing discussions then you’re missing out on this vital information, you’re better off knowing instead of losing out on it. There has been a lot of talk about Diversity Hiring with most of us as Talent Acquisitionists agreeing to the concept of Diversity Hiring. We’ve looked at all the possible aspects both positive and negative and have come to the conclusion that Diversity Hiring is great in all aspects talk about Growth of the company, retaining Talent so on and so forth. A1: It increase the adaptability of an organisation, it helps us to get a variety of viewpoint. Well from these interesting responses we can conclude that even Gender Diversity Hiring can boost the growth of the Company and can affect the Culture as well. Apart for this we have even learnt so many different things that we can do to improve the success of the organisation we represent. How great is that? 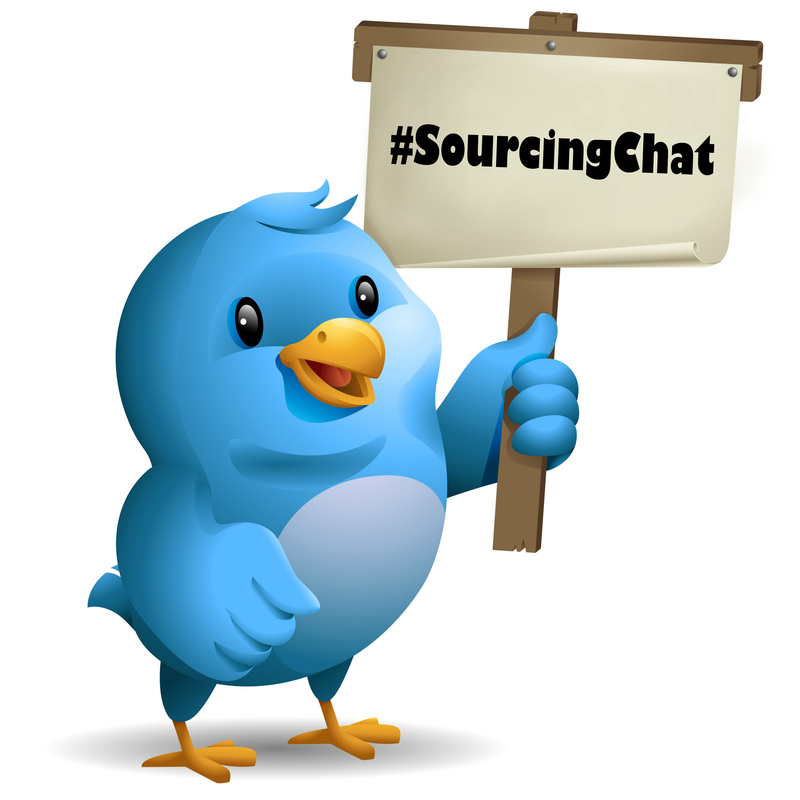 In order to receive more interesting insights and perspectives it is very important for you to be part of these #SourcingChats if you aren’t already. So follow us to get real time updates to our upcoming activities so be sure to follow @SourcingADDA.